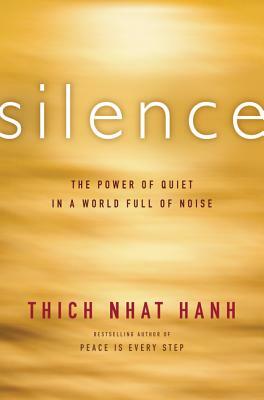 The Zen master and one of the world's most beloved teachers returns with a concise, practical guide to understanding and developing our most powerful inner resource—silence—to help us find happiness, purpose, and peace. Silence shows us how to find and maintain our equanimity amid the barrage of noise. Thich Nhat Hanh guides us on a path to cultivate calm even in the most chaotic places. This gift of silence doesn't require hours upon hours of silent meditation or an existing practice of any kind. Through careful breathing and mindfulness techniques he teaches us how to become truly present in the moment, to recognize the beauty surrounding us, and to find harmony. With mindfulness comes stillness—and the silence we need to come back to ourselves and discover who we are and what we truly want, the keys to happiness and well-being.